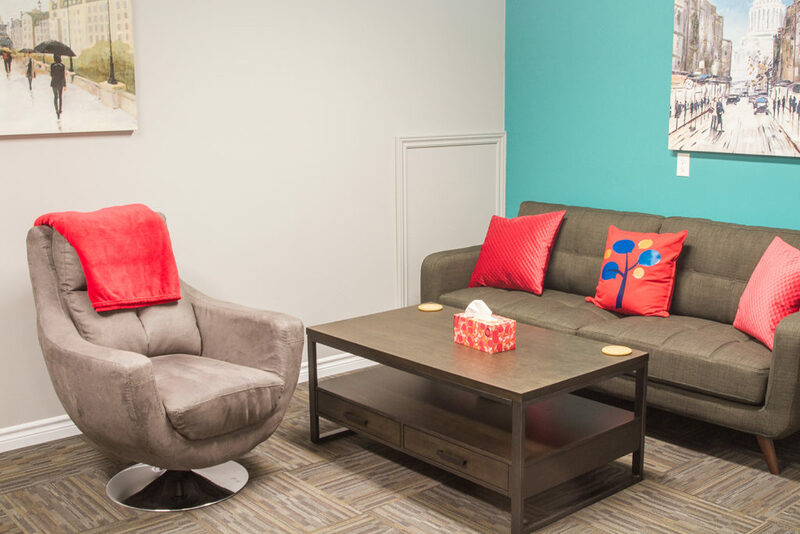 KV Psychology and Wellness Center offers a full range of Therapy Services for children, adolescents, and adults. We also offer holistic treatment approaches such as hypnotherapy. Below are many of the issues that we can help children and young adults overcome. Play Therapy is a therapeutic approach based on developmental principles. Play Therapy is a process where the child chooses objects, symbols, or types of play to express their inner concerns or work through particular problems. Play Therapy is done with a trained child therapist who is skilled in interpreting the child’s play. The child therapist assists in promoting growth and change. HOW IS IT DIFFERENT TO THE PLAY MY CHILD DOES ON HIS/HER OWN? Play is generally important to your child’s development because it offers them the opportunity to make sense of their world and helps them rehearse for adult life. Play between a parent and child provides a sense of joining, security and attachment. In Play Therapy the Child Therapist is trained to read the metaphors of the play and observe emerging patterns. The main goals of play therapy, regardless of the symptoms, are to help the child regain their former level of functioning, enhance self‐esteem and build the child’s coping resources. In Play Therapy the child uses the whole self (mind & body) to express unconscious thoughts, fears, anxieties and wishes, etc., which helps them process or resolve “stuck” thoughts and feelings. This often happens in subtle ways, with effects noticed in the child’s daily functioning. 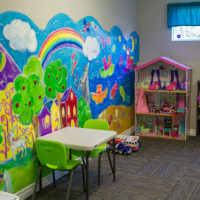 The Play Room is viewed as the child’s “kingdom” where they are free to explore and express themselves through various mediums such as fantasy play, sandplay, puppets and miniatures. The toys are carefully selected to offer an opportunity to engage the child’s imagination and express various feeling states and experiences. For example, both symbolically aggressive and passive toy are available for the child to select in their play. Engagement Phase: The child explores the environment and tests for limits. Working Through Phase: The child and Therapist establish a relationship of trust and the child begins to play out underlying issues. A decrease in the child’s functioning may accompany this phase. Therapeutic Growth Phase: At this stage the child is empowered and has re‐worked their earlier concerns. Termination Phase: This important phase entails the therapist and child summarizing their time together and preparing to end the relationship. The approach works well for children between 2‐to‐12 years of age (generally). Older children may also benefit if it is developmentally fitting. All children are unique in how they move forward in stages of Play Therapy. Length of time depends on the presenting problem and level of family support. For example, longer term work may be necessary for children who have experienced trauma related to death, divorce, accidents, medical trauma and physical or sexual abuse. Many issues indicate a need for more than 20 sessions. Tell your child they are going to meet a counsellor and let them know the person’s name. Introduce the person as someone who works and plays with children. Describe the environment and let them know you will bring them to meet that person. Advocate – Through consultation you may be asked to introduce ideas to family members as well as school or daycare personnel. Play Partner – You may be asked to join sessions for specific reasons or to follow a “play time” recipe at home. Provider of Limits – Family routines, rules and limits will be explored and you may be asked to experiment with new ideas. Consultant – This is a two‐way process. Parents have lots of ideas and know their child best. We believe that effective treatment requires a team effort. The child’s therapy should be regarded as their own private time. Parents should refrain from asking the child too many questions after sessions. It is the child therapist’s job to help you understand what is happening in your child’s sessions. Sand play therapy is a nonverbal, therapeutic intervention that makes use of a sandbox, toy figures, and sometimes water, to create scenes of miniature worlds that reflect a person’s inner thoughts, struggles, and concerns. This form of play therapy is practiced along with talk therapy, using the sandbox and figures as communication tools. Sand play therapy is often used with those who have suffered some form of trauma, neglect, or abuse. Although sand play is especially well suited for working with young children, who often cannot express their inner feelings in words, it is also a technique that is helpful for some teens and adults who are having trouble expressing themselves and who may have suffered some form of severe trauma. Sand play therapy takes place in box-like containers referred to as sand trays. The trays are filled with sand that clients use, along with miniature toys, to create a play world that reflects some aspect of real people and real experiences in their own lives. The client chooses from a large collection of toys and builds a small “world” in the tray that reflects what is going on in their lives. The therapist observes the choice and arrangement of toys without interruption, allowing the person to find answers within themselves. After sand play is completed, the client and therapist analyze and discuss the client’s toy choices, their arrangement pattern in the sand, and their symbolic or metaphoric meanings. Upon discussion, the client often chooses to make changes to the world they have created in sand. Sand play therapy may consist of a single session or last as long as several years. Can I get a Report on my Child’s Progress? In order for a child to feel safe and free to express their inner-world without judgment (including self-judgment) or censorship, it is critically important to maintain privacy. Parents/caregivers may view sand play constructions or photographs when the child initiates this request. 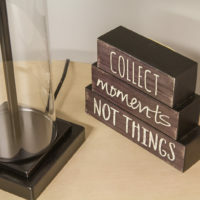 Meeting with parents to discuss history and ongoing issues/progress at home or school is highly encouraged, but does not necessarily include viewing trays. Hypnosis is a natural, relaxed state of focused attention and consciousness that opens the door to countless possibilities for healing, self-exploration, and therapeutic change. Hypnosis is not equated to a “loss of control,” it allows people to be more focused and less distractible, achieving more of their goals and more control of their personal comfort, health, and well-being. The focused, relaxed state of hypnosis allows changes to intentionally be made “automatically,” changes that people could not ordinarily or consciously make. The fee for this therapy is $150 per session.